What a week. We are ready for Canada Quilt!!! 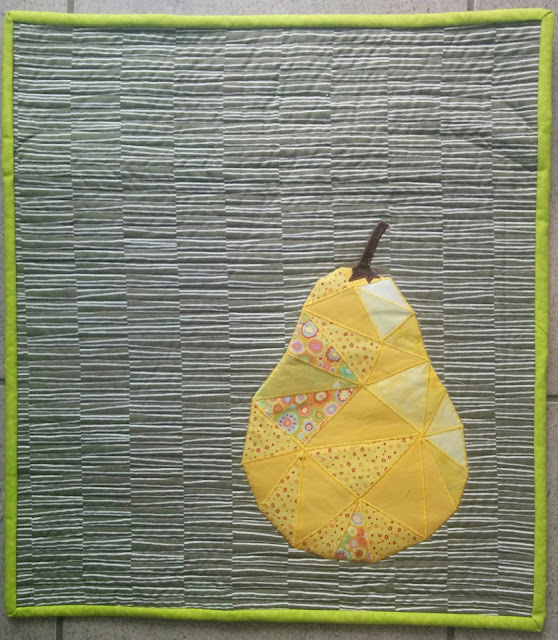 Last bindings sewn on my "Ballerina" quilt and "Pear" mini. Tried our system to hang the quilts in our booth. 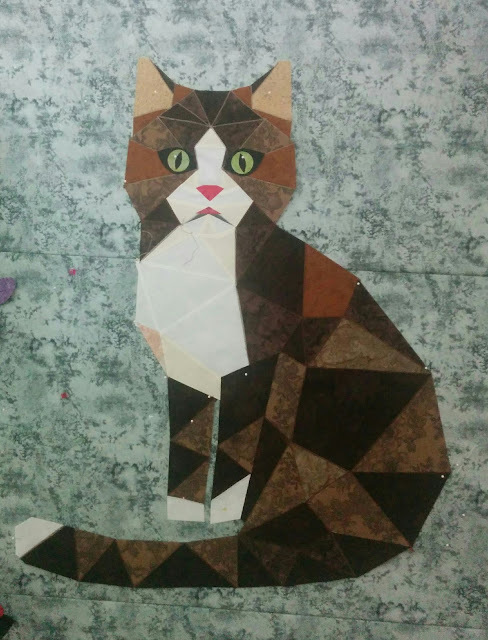 I even had time to finish my Fractured image Kitty. There is some adjustment I think I need to make but I like him. Wow covers it. Love, love, love the pear. Love the sweet little pear. your sweet kitty looks better with his front paw on. It is so cute. all the best for the show I know you will be getting amazing comments as all your designs are so lovely.Take care and enjoy yourself. Having seen these beauties on Instagram, it makes me smile to see them on my laptop, larger, screen! Beautiful work Yanicka! 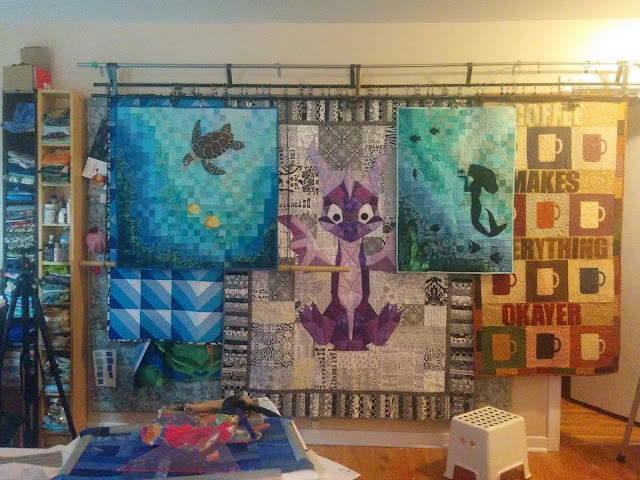 Wish I was going to Quilt Canada...so near, yet so far because of not having had it planned. 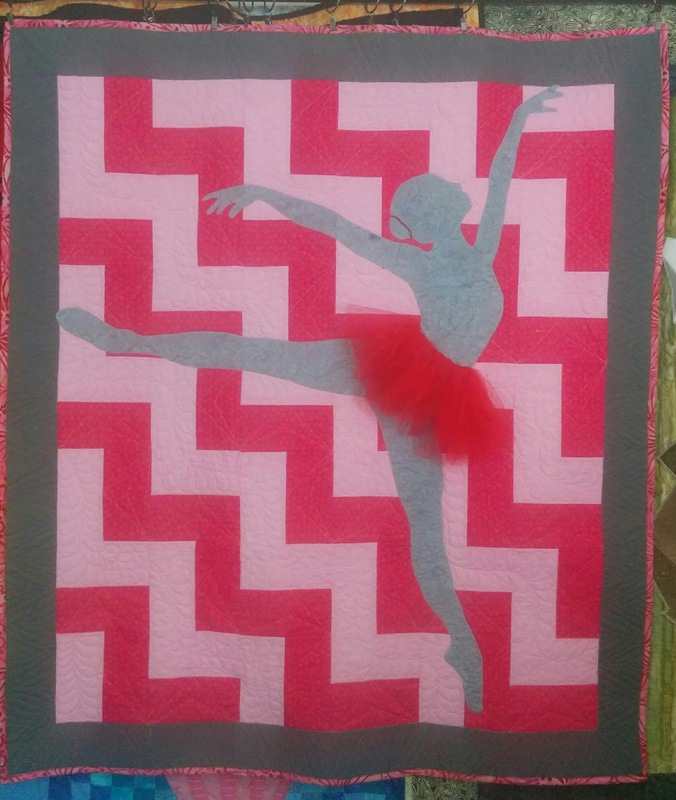 Such beautiful quilts! I especially love the pear. Your booth looks great! Those are gorgeous! I love the mermaid and the turtle -- those colors are perfect. They are all so cleverly designed and visually interesting! My favorite is the dragon but they all look amazing! Thanks for sharing!! Awwh such a sweet kitty as well as a delicious looking pear. Sweet kitty! Thanks for linking to Finished or Not Friday! Your pear is adorable. Thanks for linking up with TGIFF.